When you think of world cities a few places come to mind: Paris, London, Tokyo, Rome… they all have their places in the upper echelons of urban centres but there’s one place that can challenge them for status at the very top – and that is the symbol of the new world and much of the modern notion of the good life: New York City. You can be forgiven if you don’t feel the urge to visit it because despite never setting foot in the state of New York (or even in the United States of America), you feel as though you’ve already been there. This is understandable, as New York City is probably the most featured setting of films and other media forms on the planet. Landmarks that most cities would have to promote heavily to have the same kind of mass appeal are seen as almost clichés and the lifestyle needs no explanation. And yet it remains one of the most sought after destination for vacation and adventure-seekers the world over. This is probably because there is something about New York City that just can’t be understood unless you see it yourself. It doesn’t matter if you’re staying a few days in a posh Manhattan suite or you’ve considering investing in New York vacation home rentals to see it on a regular basis, everyone who visits it knows there’s something magical about New York City at any point in the year. Most people will spend their time downtown in Manhattan, taking in the various sights, sounds, smells and tastes – of which there are many. Check out the view of the city from the observation deck on the Empire State Building and see just how massive this city really is. Hop on a ferry and see that various islands in the harbour, maybe stopping in and seeing the Statue of Liberty firsthand and up close. Walk down Broadway and be amazed at all the lights and theatre productions that get their start right here, starring some of the biggest names in the business, live and in person. Everything from the simplest cup of coffee to the latest in international fusion cuisine has its place in New York City and you can try it all, eating like a local or having the tourist standards (hot dogs just seem to taste better being served from a cart). Venture into Chinatown and see where North American Chinese food rose to fame; see the remnants of Little Italy as it is slowly swallowed up by Chinatown and being surpassed by the other ethnic quarters that make New York the fascinating place that it is. Finally, spend some time in Times Square and feel the rush of the city as everyone goes about their lives. Wander to Central Park and be amazed at how peaceful an area this is in an otherwise hectic and fast paced metropolis that seemingly never has a minute to relax. 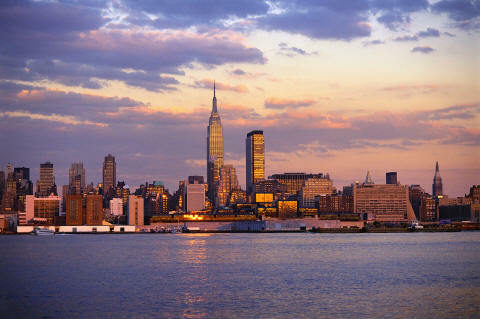 You really can’t go wrong with a vacation to New York City, as it truly does have something for everyone.